Scoliosis and the Alexander Technique - Art of Posture. Alexander Technique South London. A colleague in the States, Professor Galen Cranz, has recorded 4 short videos describing her personal experience of scoliosis which she’s had since childhood and these are well worth watching, particularly if you have scoliosis yourself or know someone who does or if you work therapeutically with people who have scoliosis. In Video 1, Galen talks about her severe scoliosis from childhood. Not only was this obvious physically but it was also a lonely, isolating condition, particularly during her teenage years. She and her family decided against treatments such as surgery for fusion of the spine or a brace. Most treatments on offer addressed external factors and were quite held and fixed. Swimming was the first thing that helped as the water gave support and relief, as described in the second video. She decided to put aside time for self care and swimming formed a large part of this. Galen had a lot of pain from bending over books but doctors were only able to offer pain relief medication. Advice to ‘sit up straight’ caused pain and so she practised slumping but that made the pain worse. Moving to Berkley in 1975 led to the discovery of the Alexander Technique – video 3. This made a great impact as it was very gentle with no manipulation. She was amazed to be without pain for a while at the end of her first session [this is not the same for everyone but fortunately was the case for Galen]. She also had Alexander Technique sessions in the swimming pool. After some time she went to New York and had ten Alexander lessons in a row – one per day. This made a major difference as, for the first time, it was more than just managing pain but it also improved her physical structure. Her spine got straighter and she could sense it. This was a major turning point. After another lot of ten daily sessions, Galen decided to train in the Alexander Technique. This was a huge commitment. 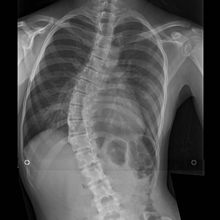 In the first term, her spine improved by 13 degrees. Another significant step forward was making friends with someone else who had scoliosis as they could share experiences. The fourth video sums up what has helped in the overall quest to live with scoliosis. Scoliosis is not something that goes away and so Galen Cranz cautions against anyone who says they can cure it. And she has found that a variety of different approaches have helped in her exploration, many of which are supported by her understanding and application of the AT. These include Rolfing, craniosacral osteopathy, Tomatis listening therapy, alpha brainwave training, gyrotonics and body mind centering. It’s worth listening to her discussions on these as she gives some cautionary advice. Finally, the sequence of videos ends with her making the realistic statement that progress is not linear. Her learning has been on an upward trajectory but with significant setbacks. 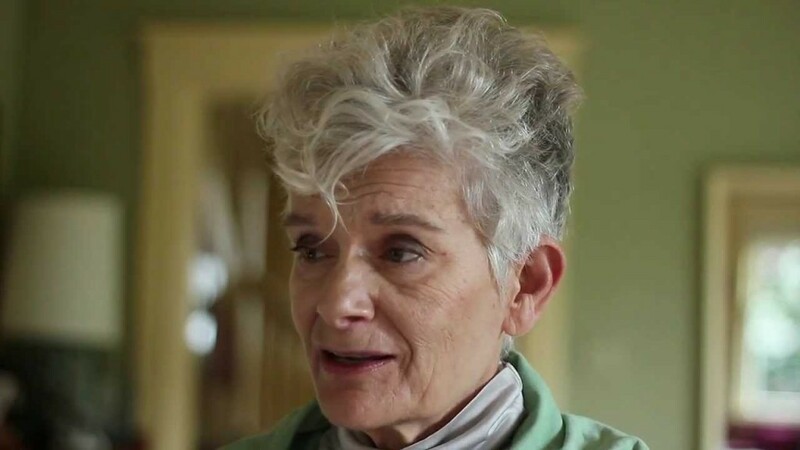 She has needed to find both internal and external change and feels that ordinary physical therapy misses the emotional, psychological and mental cognitive component. Towards the end of the talk, there is a wonderful illustration of the change to her spine. It shows the first X-ray from over 20 years ago superimposed over the most recent tracing of her spine, highlighting the very significant positive change from her years of endeavours. On a personal note, I wanted to watch these videos having worked with a number of people with scoliosis and have found this most educative. In particular, one needs to regard this condition with more than its physical manifestations. It requires a change in mind body thinking, sending messages to the musculature for longer lasting change. My thanks to Professor Cranz for making her personal story available to the public. Posted in Back Pain, Mindfulness, Posture, Tension and tagged pain, scoliosis.